Here at Rolling Auto Service we provide a wide array of vehicle services. More often than not, we are called out to someone’s vehicle because they have experienced a major breakdown. That is why we recommend to our clients routine maintenance. Did you know you should have a tune-up performed on your car every 30,000 miles? Perhaps you are left wondering, what is the importance of a tune-up? We have compiled a list of four benefits of a vehicle tune-up. Having a tune-up performed will save you money at the pump. Did you know that even something as simple as a dirty air filter can decrease your mpg by up to 20%? Having a mechanic perform routine maintenance will save you money on your next trip to the gas station. When your car is not maintained, you are in danger of having a break down in the middle of traffic. While we do travel to you no matter where you have broken down, it is safer to have a tune-up performed at your house to prevent a breakdown from ever happening. 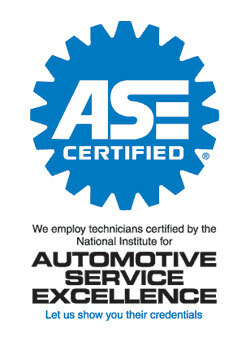 We will check a wide variety of components during a tune-up and will ensure your car is operating safely and smoothly. We will be replacing parts like spark plugs and air filters which will keep you from being stranded on the side of the road. When your car is not properly maintained you are more likely to emit dangerous fumes into the air. If you want to reduce your emissions, have a tune-up performed. This will not only keep you safer, but will protect the environment too. Although it may be years down the road, if you eventually want to resell your vehicle having a detailed record of maintenance performed will add to the resale value. Keep records of all the tune-ups you have completed on your car to present to a potential buyer. This will demonstrate to the buyer that you were conscientious in your care for your car. If you are ready for a tune-up on your vehicle, give us a call. We will come to you to perform the tune-up which means your schedule doesn’t have to be interrupted. Soon you will be reaping the benefits of your vehicle tune-up. Posted in Uncategorized on September 29, 2014 at 8:37 pm by Rolling Auto Service.